TMJ Relief Clinic in Richmond, is pleased to present it’s latest tool for treating symptoms relating to TMJ disfunction. 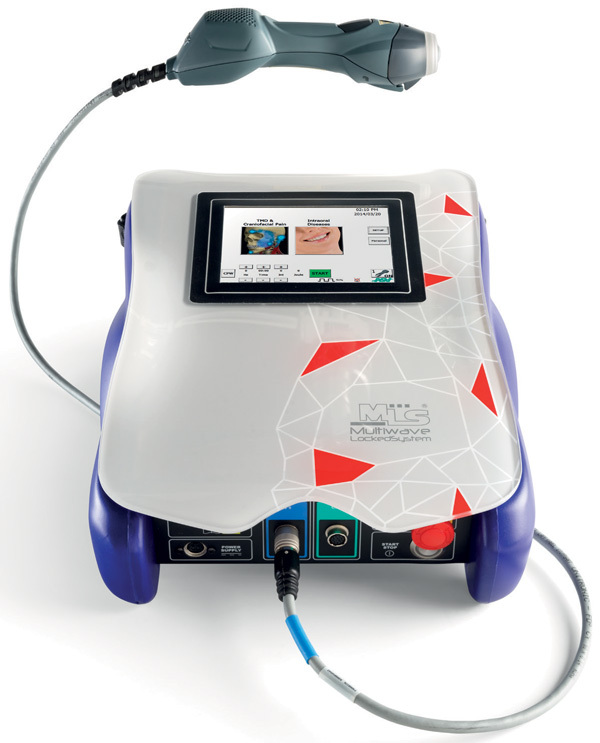 This breakthrough in laser technology is especially designed for dentists. 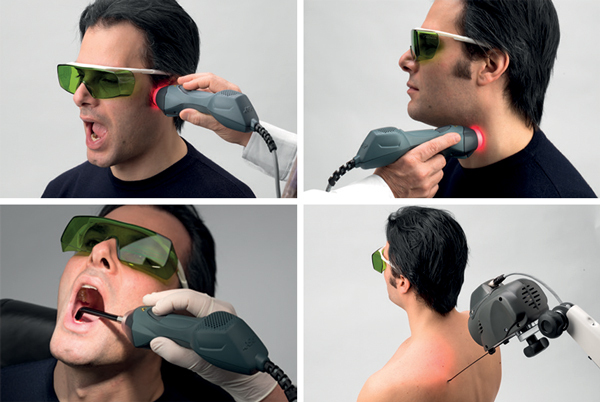 It’s synchronised, dual wavelength system provides improved results over traditional therapeutic laser therapy. It is safe, pain-free, non-invasive and can be used either on it’s own to treat and reduce craniofacial discomfort and inflammation or in conjunction with other therapies to accelerate healing time, tissue repair and stimulate new cell growth. Clinical applications are immense and include temporomandibular disorders, joint diseases, muscle contractures and trigger points. It can reduce the severity of orofacial pain, tension headaches, temporal tendonitis and vertigo. It’s often used in orthodontics to reduce associated pain, especially in the jaw and neck with the emissions aiding the analgesic, anti-inflammatory and anti-oedema effects. MLS Laser Therapy can be used as an intraoral tool– inside the mouth, to aid bone healing after dental implants, root canal treatments or teeth extractions. It’s also been proven effective at treating gum disease and many other ailments. Our practice and it’s staff pride themselves on being at the forefront of technological and medical advances, reflecting our ongoing desire to provide the greatest level of treatment to our clientele. For more information on the MLS system and how it can be of benefit to you, contact us and speak with one of our friendly staff today.